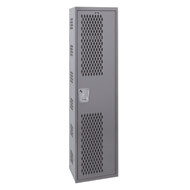 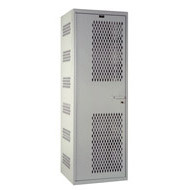 Hallowell Storage & Cage Lockers are a great solution for industrial and shop environments. 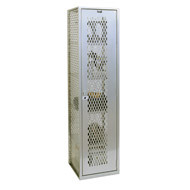 The cage lockers make viewing the contents a breeze yet maintaining security with sturdy construction and locking mechanisms. Hallowell ventilated storage lockers keep your valuables at hand and in good working order.